Yesterday, the Fairfax County Board of Supervisors approved the Fiscal Year 2015 budget to include an increase of a half cent in the real estate property tax rate. This goes into effect July 1, 2014. 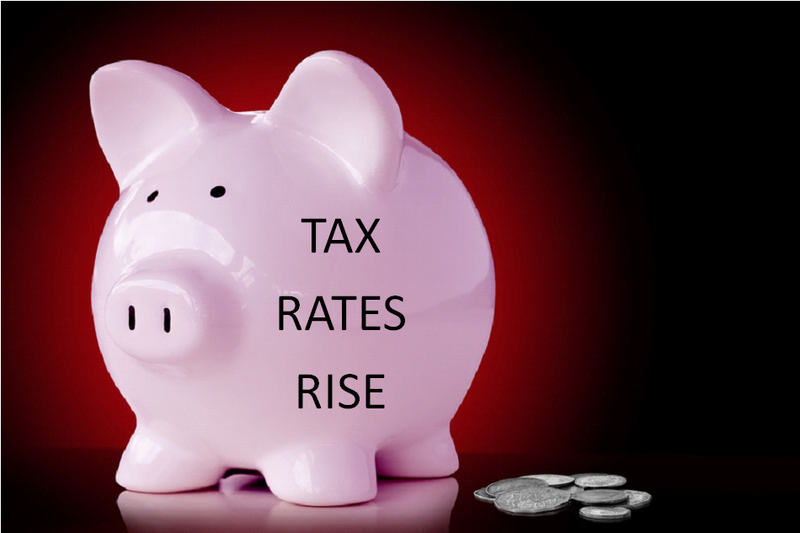 What does this mean for you and what will the new tax rate be? 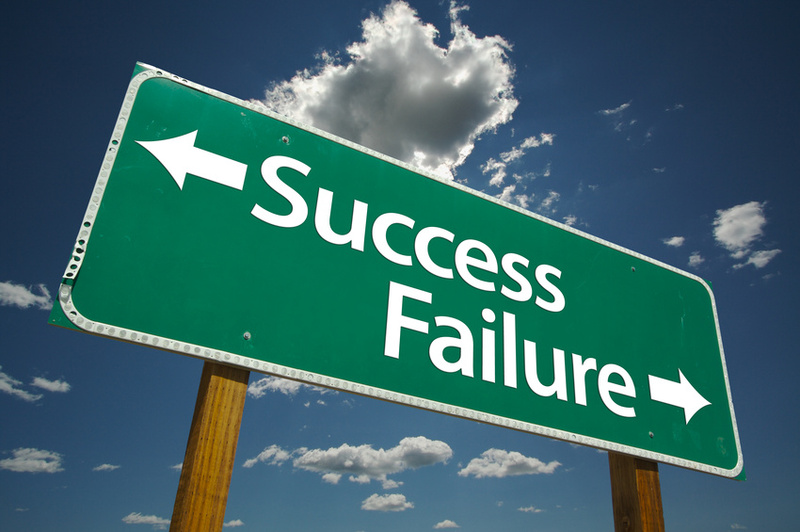 Note: Assessed values and market values are not always the same. 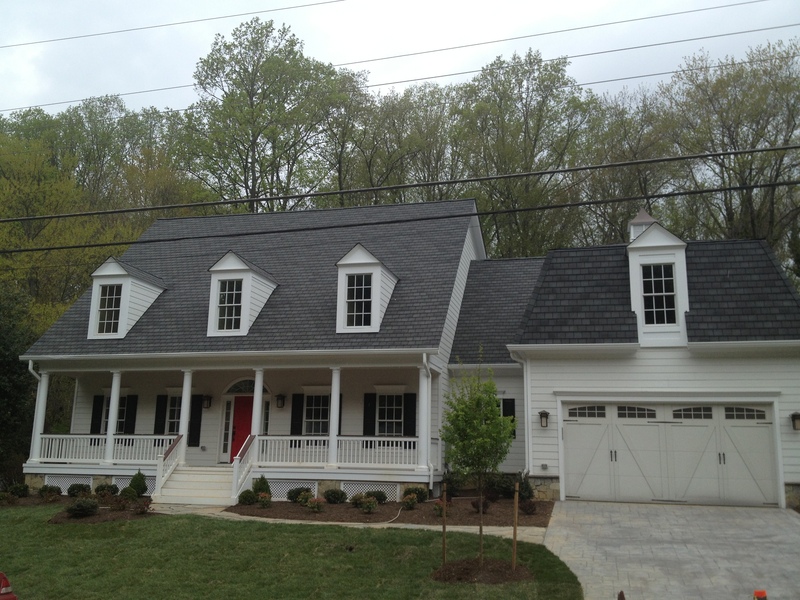 But the average sales price in Fairfax County rose more than 7% last year. Assessed values will likely continue to follow suit. 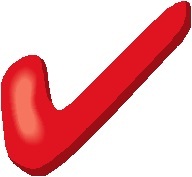 Click here to find out the Fairfax County assessed value of your home. 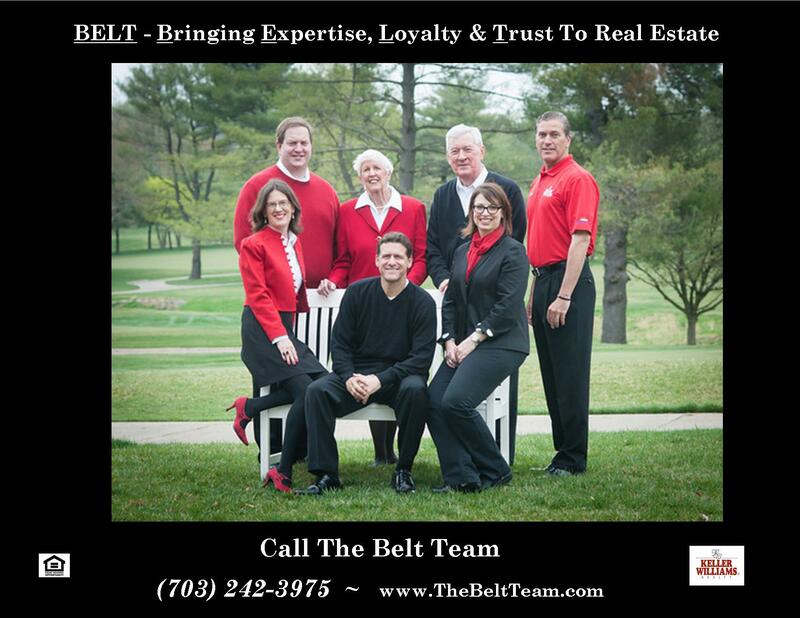 Call The Belt Team at (703) 242-3975. We’re happy to assist will ALL of your real estate needs! 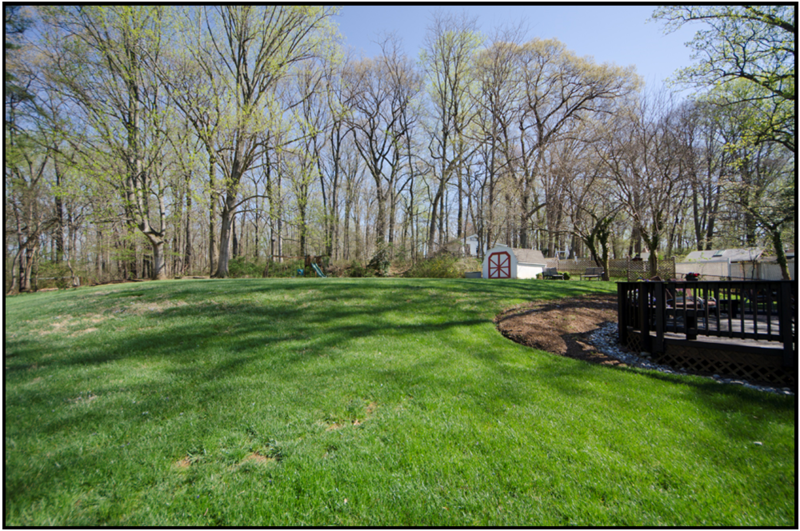 Springtime is spectacular – especially when you own a home in sought after Berryland Farm in Oakton. And we have a wonderful new home coming soon that simply shines in spring! Call (703) 242-3975 to schedule a showing or click here for more info! Finishing touches are just being completed on this charming new custom home near Glyndon Park in Vienna! Open Sunday, April 27th from Noon to 5PM. Call (703) 242-3975 with any questions or to schedule a showing. Call (703) 242-3975 if you would like a zip code or neighborhood analysis. Does your wish list look like this? 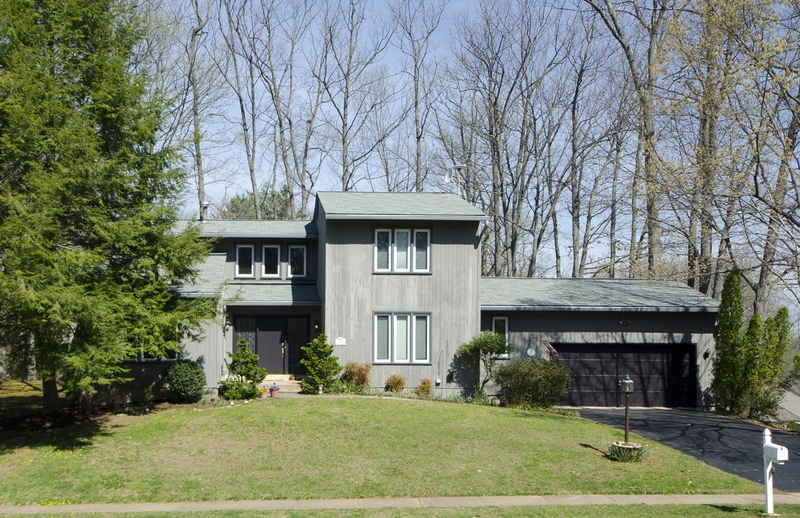 Hardwood floors, fireplace, sun porch, finished lower level & more! If so – it’s your lucky day! We just listed 8210 Cottage Street in Vienna.It’s open Sunday from 1PM to 4PM. And it’s got every item on your list! Here’s a sneak peak! Call (703) 242-3975 to schedule a showing. Click here for more photos and detailed info about 8210 Cottage Street. The Belt Team’s Mission Statement is “Changing Lives For The Better“. If it’s time to change YOURS, call (703) 242-3975! 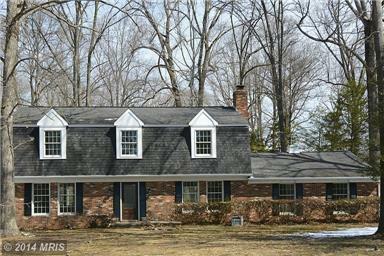 Are you looking for a contemporary home on a gorgeous lot in a great Vienna location close to Tysons? An absolute sanctuary of tranquility? An open floorplan with four bedrooms (including a main level master retreat)? 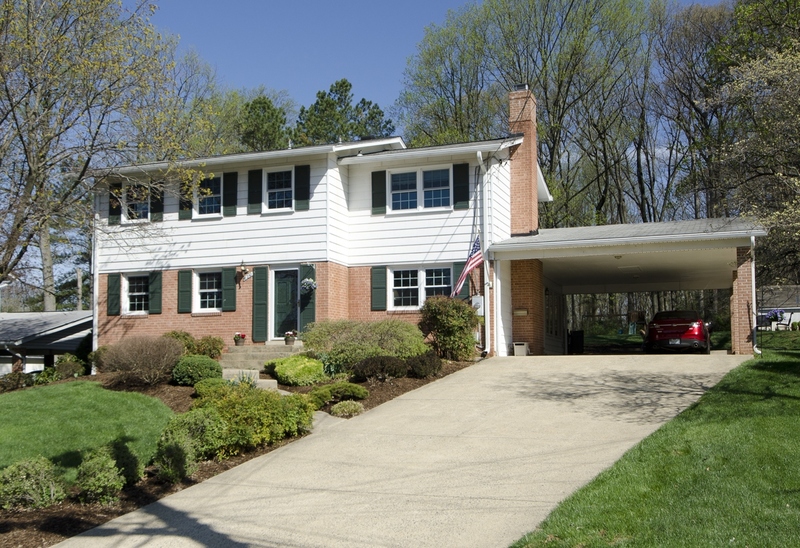 If so – you’ve hit the jackpot because we just listed one at 1650 Montmorency Drive in Vienna! Call (703) 242-3975 or email The Belt Team to schedule a showing or click for more information & photos! What’s It Like To Work With The Best? Our clients often tell us “You’re the best!”. But we never take that for granted. We SO appreciate their trust in us at such important times in their lives. And so after every transaction, we ask for feedback on how we can make things even better. We also ask our clients to share their experiences on an independent review site like Zillow or Trulia. We don’t get to see what they have said until AFTER it’s published. And we have no ability to edit what they say. This is where the rubber meets the road! We’re proud to say that the large majority of our clients are either repeat or referral. THIS is the testimony of what it’s like to work with the best. It’s why we are ranked in the Top Ten real estate teams in the entire State of VA (out of 30,000 agents.). Each client is unique and our mission is “Changing Lives For The Better – One Family At A Time“. 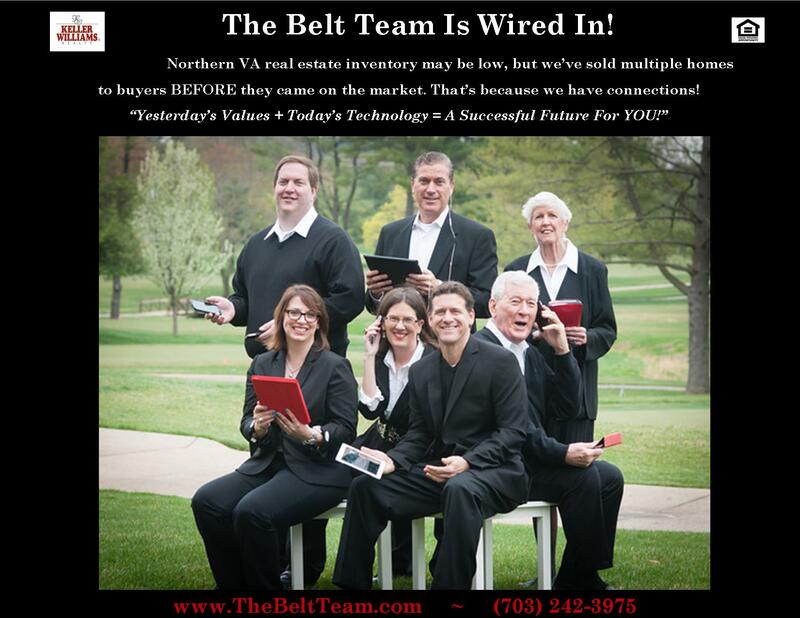 If you’re ready to work with one of the best real estate teams in Northern VA – call (703) 242-3975 today! We’ll help you make the RIGHT move! Travel – Some of our clients downsize to a home that’s easier to maintain so they can travel more – visit grandchildren – or take those trips they’ve always dreamed of. This is not uncommon with empty nesters. Health – Maybe your current home is just too much for you to take care of on top of whatever health concerns you are dealing with. Financial Freedom – Some people bite off more than they can chew. Or their priorities change (or their job situation) and they don’t want to be tied down to a big mortgage payment. Commuting Time – Buying a condo or townhouse closer to the city might be enticing after commuting an hour each way in order to have that single family home. Age – Perhaps it’s time to move into a community where you can get the extra assistance you need and/or have more opportunity for recreation and cultural activities. And maybe it’s time for a place without stairs. Schedule appointments with your financial advisor, your Realtor and your lender. Each one will walk you through a variety of things you’ll need to either do or think about: cash flow, market conditions, important amenities, lifestyle changes, tax considerations & more. And don’t wait until you HAVE to move. As soon as the thought crosses your mind – start gathering information. This will make it SO much less stressful when the time comes. My parents moved several years ago. After 30+ years in the same town, the move was emotional. They didn’t “have to” move at the time, but they were starting to think about things like stairs and maintenance of such a large home. Not long after they moved, Dad fell & became very ill. If they had still been living in the big house, his road back to “normalcy” would have been long extended. But since they were in their condo by that time, he was able to come home so much sooner. Looking back now, they are so happy they moved when they did. 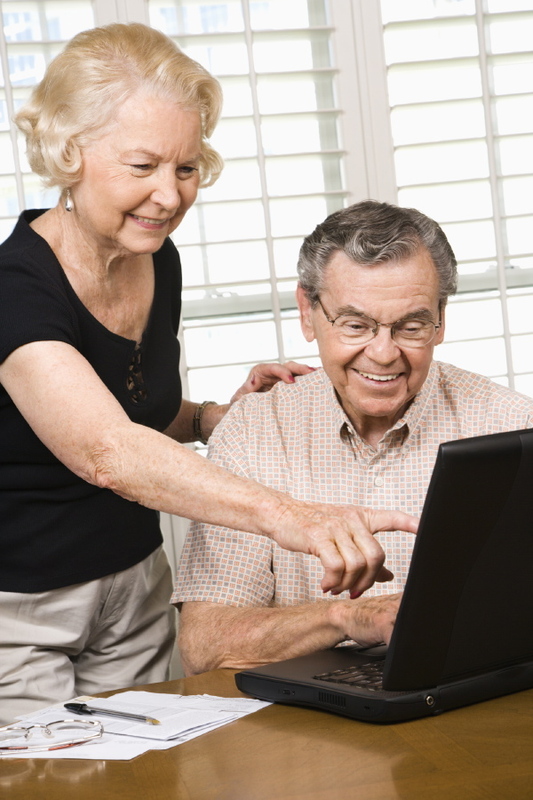 Online searches are a great way to see what your money will buy AND see what range your current home might sell for. You may find you have to compromise some of your wish list or you might find your money buys more than you think. If you have children (or grandchildren) who may benefit from some of the “things” you’re ready to let go of, but you’re not ready for them to leave the family; make family holidays a “shopping time”. Send each visitor home with a (re)gift! You could also enlist one of the younger generation to help you sell unwanted items on Craig’s List. Offer them a percentage of the sales – and you have a win-win. Less clutter for your home. And you’re helping teach entrepreneurial skills & hard work! When my parents moved, they had an open house. It was like a garage sale, except the items were free. They were moving from a huge house where they entertained a lot – to a smaller condominium, and Mom had so many lovely things she just didn’t use any more. She wanted to know that they were going to someone who would enjoy using them the way she did. We set up tables and displayed all the items – silver platters, crystal, percolaters, linens. Mom invited folks over – a number of whom were friends in my generation. They were so excited. I still have a friend who talks about how awesome Mom’s turkey roaster is! (They don’t make them like they used to.) Not only did this help clear her house of clutter and make moving easier – it was also a nice way for Mom to connect with folks before she moved. 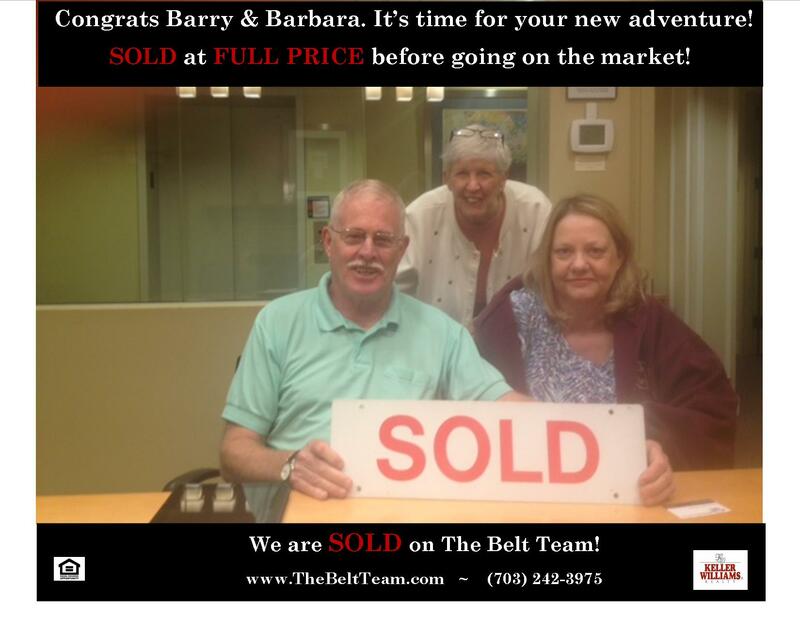 The Belt Team has helped hundreds of clients downsize. And some on our team have even downsized themselves! If “rightsizing” is in your future, give us a call today at (703) 242-3975. We are happy to meet with you and walk you through all kinds of helpful ideas to help you make the RIGHT move! The Belt Team’s Mission Statement is “Changing Lives For The Better“. if it’s time to change yours, call (703) 242-3975 today! Here’s your opportunity for a “like new” home – as close to new construction as you can get – but with a great resale price and on two gorgeous acres! Stop by to visit Belt Team Partner Beth Dadisman on Sunday, April 20th, at her open house at 10422 Deerfoot Drive in Great Falls from 1PM to 4PM. Full interior & exterior photos, directions & more info about 10422 Deerfoot Drive. Call (703) 242-3975 to schedule a showing. Sunday is a great day for a stroll around the neighborhood or a drive around town. So when you head out in Vienna, stop by to see Kevin Kleifges. He’ll be holding open 9506 Macy Avenue in Vienna from 1 to 4PM. And wait til you see this home. It just might be your dream come true! 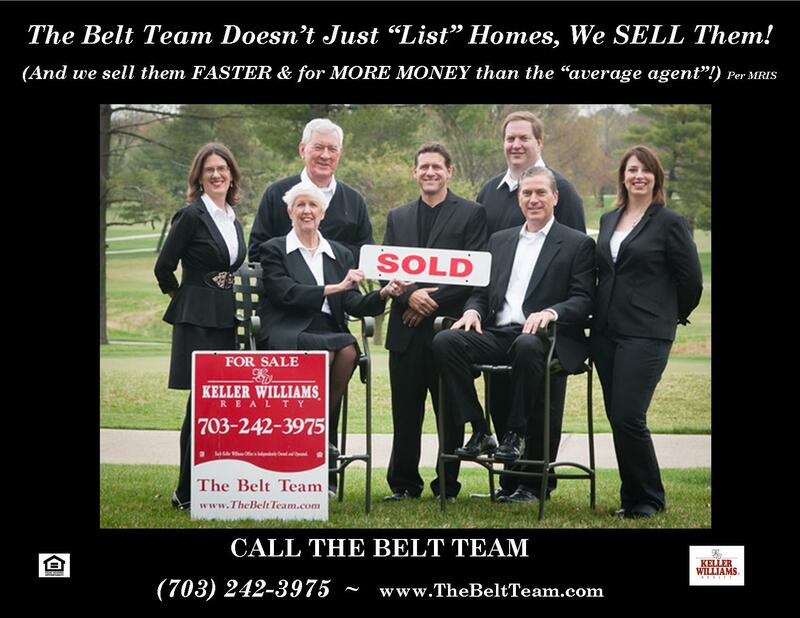 Call (703) 242-3975 to schedule a showing or email The Belt Team for more information.